When Town Cats rescues unsocialized or feral cats, sometimes we have to consider non-traditional adoption placement. We believe these kitties don’t deserve to die simply because they can’t go into a typical home environment. We recognize that they deserve shelter, access to food and water, and the stimulation of “critter hunting” that a barn placement provides. These cats are healthy, sterilized, vaccinated, and in need of a new rural outdoor home, such as a barn, stable, garage, or warehouse. 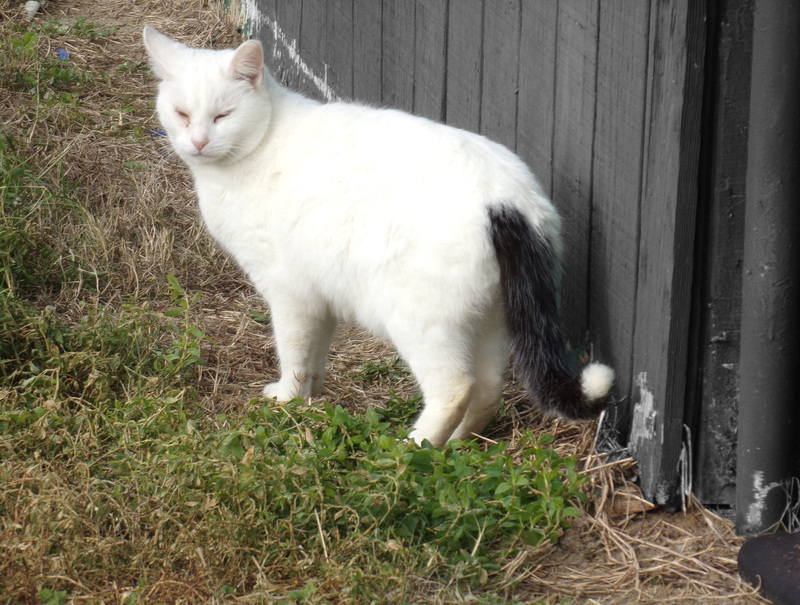 Barn Cats are working cats, former free roaming cats who are used to outdoor life, prefer minimal to no human contact, and who will happily tend to any mouse, mole, chipmunk, or vermin problems for the small cost of a bowl of cat food and water set out daily, as needed veterinary care and shelter in a garage or barn. And because we spay/neuter these cats before they leave Town Cats, adopters never need to worry about endless litters of kittens! 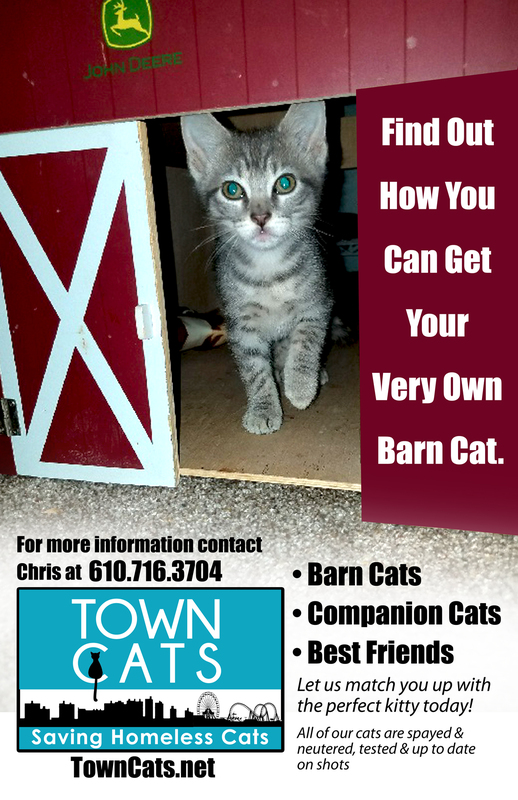 Interested in adopting a barn cat? Read the FAQ below and apply to adopt at the bottom of this page! The adoption donation is $25 per placement. You will be responsible for ongoing veterinary care (as necessary), food, water and shelter. When you bring the new cats home, they will need to be confined to an escape-proof room or enclosure like a tack room, garage, coop, or XXL dog crate for 3-4 weeks while they acclimate to their new surroundings. You will feed/water and clean the litter pan daily during the confinement period. After this period of confinement, the cats will usually accept their new home and may be released. You will continue to provide daily food and water and allow them access to shelter such as your barn or garage. Yes. All barn cats come spayed or neutered, current on vaccinations, treated for worms and fleas, and tested for feline leukemia and Fiv. Any cat you adopt from Town Cats will be current on vaccinations. Following adoption, you will be responsible for keeping the animals’ vaccinations up to date. The best way to have feral cats vaccinated is with the use of a live humane trap, such as a Havahart or trucatchtraps. The youngest cats in the Barn Cat Program are approximately six months old. Town Cats will not adopt younger kittens as barn cats, as they don’t yet have the knowledge, size, or skills to remain safe outdoors. Most cats in the barn program are young adults between one and five years of age, though we do have younger and older cats available occasionally. If you have an age preference, just let us know and we will do our best to accommodate you! The cats require shelter in a permanent building or structure like a barn, shed, stable, or garage in a suitable rural area where they will be safe. The property should be at least .5 miles away from busy roads. Daily food and water must be provided, as well as any future medical care needed. The cats must also be kept confined for the initial 3-4 week relocation period to ensure a successful transition to their new home. The Town Cats barn cats have several large outdoor habitats which are not accessible to visitors, for safety reasons. 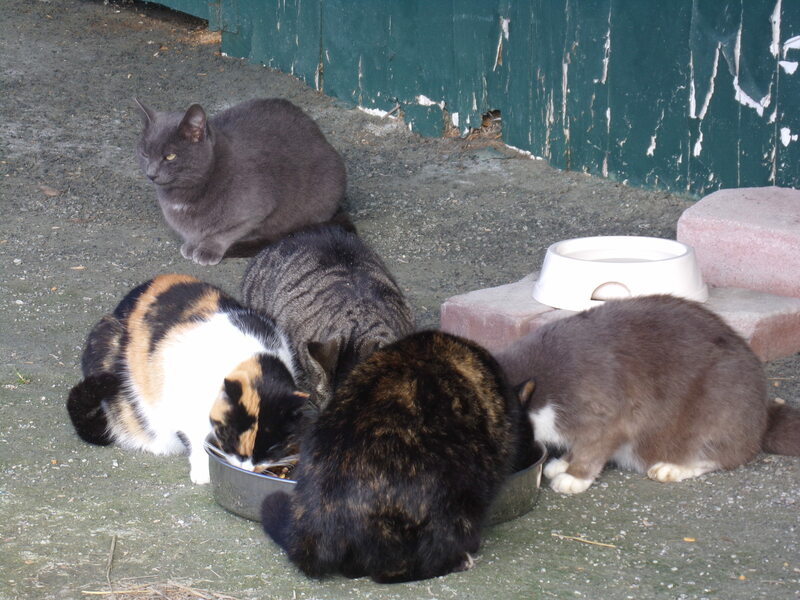 When you are scheduled to adopt, Town Cats will select barn cats for you based on the number of cats you want and their social grouping. If you have a color, age, or gender preference, we will do our best to accommodate you, though! 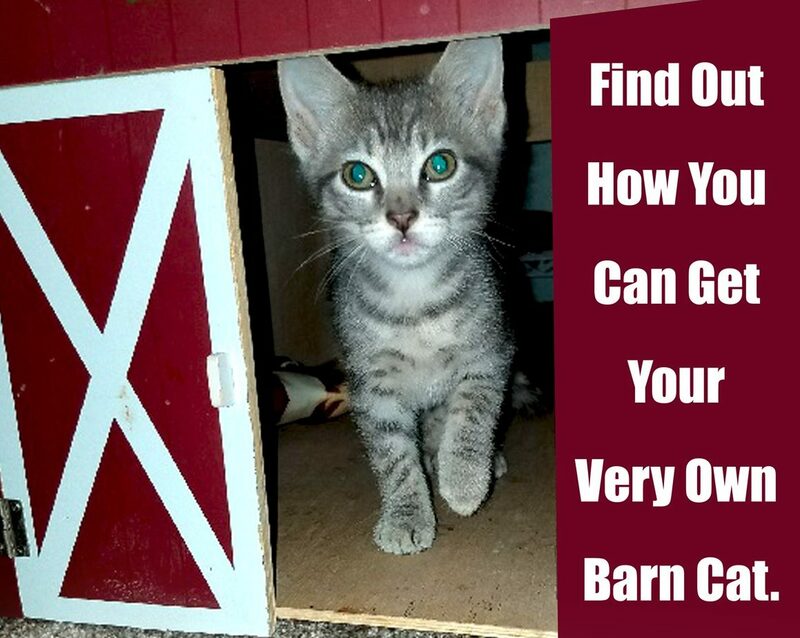 All barn cat adoptions are scheduled by appointment since it can take some time and extra staff to round the kitties up. Just fill out the application below to get started!